Are you ready for some pin worthy engagement photoshoot inspiration? A Florida cowgirl’s engagement. All photos by Rabecca Cruz Photography. Cowgirls! Are you ready for some pin worthy engagement photoshoot inspiration? Ms. Kayla Anne, or should I say the future Mrs. Farrell, had her engagement photos taken by Rabecca Cruz Photography and they are stunning! 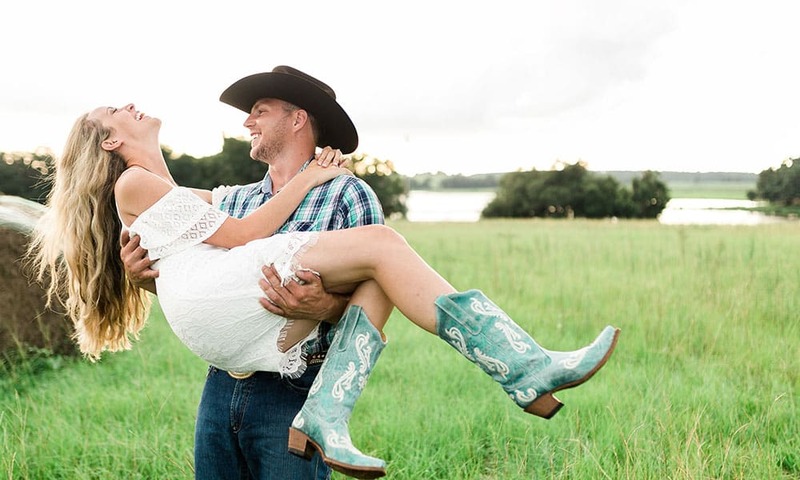 One of the biggest highlights of the session, besides the fact that it’s impossible to go wrong with a cowgirl engagement photoshoot, is the turquoise boots that Kayla is rocking. Are you ready to see all of the gorgeousness?